The Yugoslav-Turkish Convention of 1938 and the Treaty of Yugoslavia, Turkey and Greece of 28 February 1953 is known as the Balkan Pact signed in Ankara. Based on a systematic survey of both Yugoslav and Turkish consular services, it is demonstrated that between 1951 and 1968, 414,500 Albanians were displaced from Yugoslavia to Turkey ... while during the period in question (based on Yugoslav secret statistics) in Kosovo were brought In silence, 63,000 Slavic columns, of which, after Rankovic's (1966) fall some of them did not accepted a kind of "equality" with Albanians went back to Serbia. Meanwhile, according to the later published statistics, in the period 1952-1965 were displaced 452,371 Albanians in Turkey. In the winter of 1955/56, is organized the action for the collection of weapons and during this violent process were mistreated in the most severe forms more than 30,000 Albanians. In this criminal expedition, 103 Albanians were killed by beatings and tortures, while some 10,000 others were mutilated. Scientific research on the discovery of this historic event, such as the 1953 Turkish-Yugoslav agreement between Tito and Kypreliu, despite being insufficient, still gives us a very good picture to understand this agreement. It is worth mentioning the works of the historians of the Albanian nation such as: Fehmi Pushkolli in the work "People's Front-Socialist League of Kosovo", Jusuf Osmani with his book "Settlements of Kosova-Gjilani", Hakif Bajrami "Policy of the Albanians Extermination and Serbian colonization of Kosovo 1844-1995 ", Sabile Basha "The Evictions of Albanians and the colonization of Kosovo 1877-1995", and many researches of scientific works that have the object of study this very important topic for the Albanian people. All of these works and many other documents are related to the Split agreement between Tito and Kyprili. In this oral agreement even though no one knew what contained, its consequences were immediately seen after its implementation. After 1953 the mass expulsion of Albanians to Turkey began, which made this agreement clear. Serbian repression was followed by state instruments and organized by the Serbian-Yugoslav state. Earlier, there was an agreement between Yugoslavia and Turkey known as the "Yugoslav-Turkish Convention of 1938," which foresaw the expulsion of Albanians to Anatolia. The issue of the displacement of Albanians was almost silent as it was written and propagated by Serbian circles, allegedly for the Serbian-Montenegrin movement, which was nothing more than small, voluntary population migrations. The breakdown of Yugoslav-Albanian relations of 1948 was exploited by Belgrade with the skill of prosecuting, arresting and mistreating thousands of accused "Stalinists" Albanians. In the 50s, the Yugoslav state had forged a society of affirmation of the equality of peoples of this former federation. Meanwhile, Albanians are sanctioned as minorities and thus placed in an unequal position against other federal peoples. Rankovic's UDB police system exerted a lot of pressure on Albanians, crushing them and narrowing their prospects, aiming to dealbanize Kosovo. As a result of this pressure, many Albanians were registered as Turks and by the time had a significant increase of the Turkish minority in Kosovo. This process of violent declaration of Albanians as Turks was opposed by intellectuals: Zekerija Rexha, Mehmet Vokshi, Skender Rizaj and others. To reward the position of state leaders of the former Yugoslavia was proposed that to Cubrilloviq be given the AVNOJ reward which was categorically rejected by the member of the Kosovo Academy of Sciences, Prof. Fehmi Agani. Even after this period, especially after the Second World War, weapons collection and other forms of pressure began with the aim of expelling the population to move to Turkey. Yugoslav President Josip Broz Tito met the Foreign Minister of Turkey Fuad Kyprili They agreed to start the relocation of Albanians to Turkey again. The agreement was planned to continue the move of displacement of Albanians from Kosovo to Turkey under the 1938 Convention. 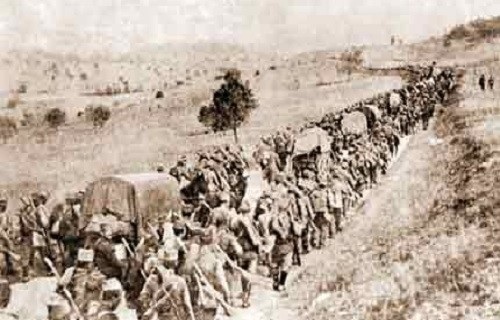 The deportation of Albanians was foreseen to be through Macedonia. This Came to be implemented immediately after the break-up of the Yugoslav-Albanian agreement, with the pretext that they served Albania and were sentenced and exiled to prisons over 500 Albanians, sent to the notorious Goli Otok camp. Since the "Giantëllmene" agreement did not succedet in the expulsion of Albanians to Anatolia, Serbia did not cease efforts to exterminate the Albanian people in Kosovo. The agreement on friendship and co-operation between Yugoslavia, Greece and Turkey, signed in Ankara on 28 February 1953, became known as the Balkan Pact. The agreement contains 10 points and got a kind of military character, but without influence and obligations, resulting from the North Atlantic Treaty of April 4, 1949 belonging to Turkey and Greece. Yugoslavia to relocate Albanians from Kosovo wanted to establish closer ties with Turkey. The ties had to be made by reactivating the Yugoslav-Turkish Convention of 1938 on the migration of Albanians to Turkey. In this spirit of cooperation between them was also the "Gengellmene" agreement between Yugoslavia and Turkey. The issue of displacement of Albanians was promoted by Yugoslavia through the Turkish press. In the period of 1955-1957, as a result of this agreement, Serbian authorities in the fabricated political processes brutally beat about 30,000 Albanians, 300 of whom died of injuries. 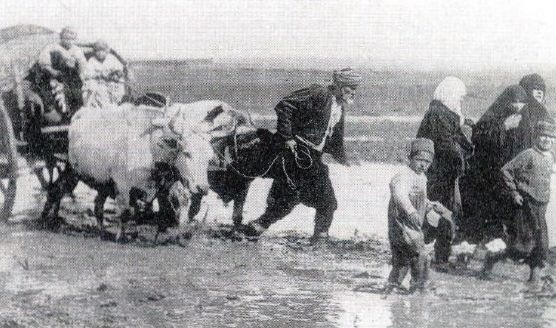 Consequently, for a short time, around 60,000 Albanians were converted to Turks and 250,000 Albanians migrated to Turkey. By the end of 1944, Albanians began to flee to the mountains and to Albania, even migrating all over the country. In order to oppose the Yugoslav re-establishment Albanians organized illegal movements. In the official statement issued on January 29, 1953 on the conversations in Split, the two delegations concealed the "Gengellmene" agreement and referred to the parliamentary cooperation and the Balkan Pact issue. With this agreement Tito realized the dream of Serbs for the displacement of Albanians from Kosovo, while Turkey gained vital residents and financial means. Every Albanian would be declared dangerous and suspicious of the country's security, especially the intellectuals with whom the prisons filled and after that the Turkish nationality was invented. The Autonomous Province of Kosovo and Metohija enjoyed the right of a legislative and executive body as well as representation in the Serbian and Federal Assembly, but not in the legal power and in 1953 lost its connection with the federation and remained only within Serbia. The violent collectivism of a part of the lands of Kosovo's peasantry as well as the Serbian mismanagement and misuse touched deeply the Albanian national tradition. In the function of the Albanian emigration was adopted the law of the 5 year plan, in 1947-1951. Yugoslav power alongside economic violence touched deeply the national feelings, past and historical traditions. Was reduced the opening of schools and educational and cultural institutions, even denying the origin of the Albanian people. The Titists, on the other hand, made themselves, drove over 18% of the Albanian population from Yugoslavia to Anatolia. All this was the result of the Yugoslav-Turkish deal, which was only indirectly stopped after 1966 when 21520 court proceedings against Albanians had ended. This was a large emptying of ethnic Albanian lands that had negative consequences for the economic, social and political life of the Albanian people. Only the high birth rate of the Albanians made it possible to preserve the ethnic structure and failed the Serbian plan for the Serbisation of Kosovo. The Yugoslav government had formed a state commission for the expulsion of Albanians in Turkey, consisting of: Aleksandar Rankovic, Krste Crvenkovski, Zvetislav Stefanovic, Vojkan Lukić, Marko Vuqković and others. The Turkish government after receiving information that a Yugoslav staff was formed for the Albanian resettlement engaged Hulusu Kejmon, for contact with Yugoslavia. The communications was too secretive and was made through a Turkish document with extremely secret numbers and figures no. 3977/51, whereby Turkey initially initiated the actualization of the 1938 convention. Turkey had promised to Yugoslavia that will place Albanians at Mysh vilayet.